ISTANBUL, TURKEY. 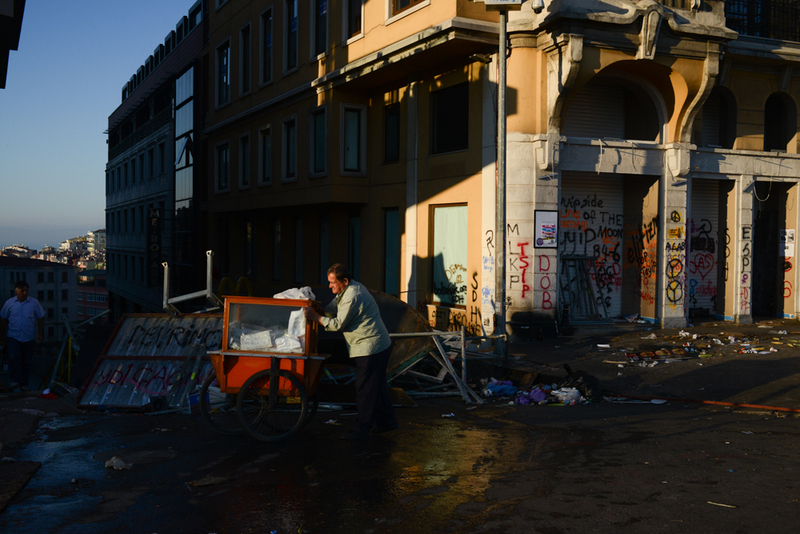 A vendor is seen in Taksim Square early in the morning on June 10, 2013. After more than a week of protests in Taksim Square against the demolition of the adjacent Gezi Park in favor of a reconstructed Ottoman barracks and shopping mall which have escalated into a nationwide call of the country's secular-minded citizens for Prime Minister Recep Tayyip Erdogan to resign, the signs of life slowly returning to normal are gradually reappearing after a weekend of street parties.